As we emerge from the Industrial age to the Age of Information, no longer will it be efficient to have core groups working independently toward a shared corporate goal. No longer will it make sense for any one person or team to have specialized skills and experience with only in one product, technology, geographic area. Indeed, globalization and the age of information has amplified and accelerated the range of our choices and opportunities, and only the nimblest will survive and succeed, leveraging technology to deliver customized solutions. In this new age, teams must be global, even if they specialize in one geographic region, engineers must not only leverage their technical aptitude and skills, but also be business-minded and customer-focused, people must see things well beyond their current reality of training, background, experience and backgrounds, and leaders must facilitate the breaking down of silos. It expands the vision for the product/service/team/organization. Everyone is immersed in her/his own reality. Be receptive to meeting people beyond yourself, your team, your role, your organization so that you can see beyond your reality, and a larger world of possibilities. For example, Blockbuster was so immersed in its volumes of sales, mass production and delivery process, efficient brick and mortar stores and warehouses, that they were to slow to adopt first mail order solutions and next the digital download evolution benefiting companies like Netflix and Amazon. Each person, team, organization has areas of specialty, and entertaining connections with others who don’t think and act like he/she does, who may have complementary areas of specialty may potentially expand the vision and possibilities for all. Indeed, the strategic executive conversations about where we are and where we want to go often include how to integrate different people, technologies, markets and even companies into the current direction to obtain a larger impact and reach. Technology companies have an opportunity to leverage proven technologies in ways that better serve people and the earth. This is not just a great business opportunity, but also a great feel-good option. The processes and technologies successfully implemented in other industries can be applied directly in the education sector, supporting our students and teachers, facilitating engagement between students, faculty, administration and the community, while also reducing the complexity involved in delivering customized solutions. Technology companies are investing in saving resources, distributing and generating power, and serving the needs of a power-hungry world. Technology companies are leveraging software and technology to support our evolving and expanding healthcare IT needs, serving hospitals and healthcare organizations as well as patients and providers across the value chain. It will better speak to the needs of the customer, and an expanding breadth of customers. Bridging silos of people and groups from a diverse range of geographic locations will help everyone understand the differing needs and interests of markets around the world, and addressing and anticipating them as they evolve. Bridging silos between genders and generations will also help all stakeholders better understand, anticipate and serve the evolving needs of the customers. Bridging silos between roles, particularly connecting entrepreneurs and marketing/sales departments will help both sides understand the needs of the customer, and create a tech-based solution that addresses these needs. It facilitates a culture of diversity and tolerance which is healthy for your team, and attractive to new prospective members of your team. Every year, companies vie for the privilege of being the best place to work as it leads to the hiring and retention of the best and the brightest. Invariably the companies on that list also have exceptional programs that encourage diversity, the bridging of silos, the collaboration between business units, teams and people. This brand of being the best-place-to-work is a proactive cycle for improved hiring and retention: The more good and happy people you have, the easier it is to serve them, and improve your service to them, the better your ratings are, the more attractive you are to other people and the people already on staff. Embrace people, ideas and things that stretch your comfort zone, and explore why he/she/they make you feel uncomfortable. Reward collaborations and communications between silos. Put the right people in the right role to facilitate the bridging of silos. Leaders and managers who had previously succeeded may not be best positioned to now lead. Train high-potentials to go deep within at least one area, but float between different areas as well. 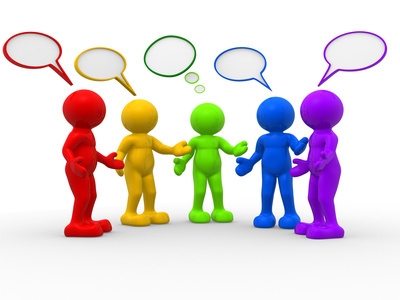 Speak and encourage others to speak in the context of customer needs, no matter which silo(s) you belong to. Partner with academia to fund research, support instruction, share knowledge, address IT challenges, and support student innovators. Partner with entrepreneurs to foster innovative new uses of proven technologies and processes and to address anticipated needs in existing and new niche markets. Partner with policy-makers to support IT and process improvement needs and provide leadership on what you need to innovate. Collaborate with complementary competitors you trust when there is a win-for-all. See the problems around these silos and the opportunities if the silos were bridged. The conclusion is that we have moved from the industrial revolution with its division of labor, manufacturing and supply chain management and specializing to an age of information, where technology drives sustainable and efficient processes to an ever-larger customer base. But the leaders in today’s new economy will move beyond that, and find opportunities to leverage what we’ve learned in the past to a new age of personalization, where companies will sustainably serve the customized needs of a demanding and expanding global customers. Breaking down silos is a fundamental requirement for remaining competitive in this new age. 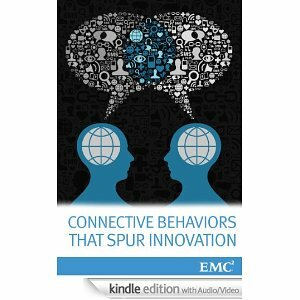 This post was originally published as a Chapter entitled ‘Bridging Silos’ from EMC’s eBook on ‘Connective Behaviors That Spur Innovation’, first published March 2013. This entry was posted on October 20, 2014 at 10:57 pm and is filed under Personalization. You can follow any responses to this entry through the RSS 2.0 feed. Both comments and pings are currently closed.